Cardiff Castle (Welsh: In welsh Caerdydd) is a medieval castle and Victorian Gothic revival mansion located in the city centre of Cardiff, Wales. 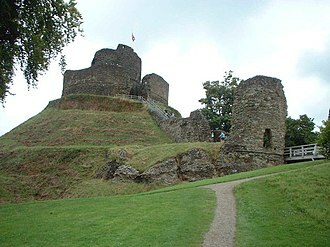 The original motte and bailey castle was built in the late 11th century by Norman invaders on top of a 3rd-century Roman fort. 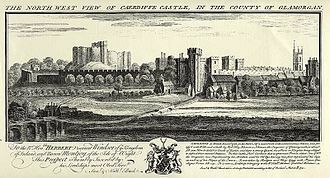 The castle was commissioned either by William the Conqueror or by Robert Fitzhamon, and formed the heart of the medieval town of Cardiff and the Marcher Lord territory of Glamorgan. In the 12th century the castle began to be rebuilt in stone, probably by Robert of Gloucester, with a shell keep and substantial defensive walls being erected. Further work was conducted by The 6th Earl of Gloucester in the second half of the 13th century. 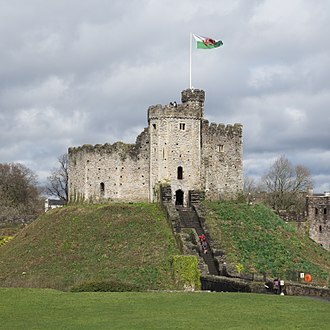 Cardiff Castle was repeatedly involved in the conflicts between the Anglo-Normans and the Welsh, being attacked several times in the 12th century, and stormed in 1404 during the revolt of Owain Glyndŵr. After being held by the de Clare and Despenser families for several centuries, the castle was acquired by The 13th Earl of Warwick and Comte de Aumale in 1423. Lord Warwick conducted extensive work on the castle, founding the main range on the west side of the castle, dominated by a tall octagonal tower. Following the Wars of the Roses, the status of the castle as a Marcher territory was revoked and its military significance began to decline. The Herbert family took over the property in 1550, remodelling parts of the main range and carrying out construction work in the outer bailey, then occupied by Cardiff's Shire Hall and other buildings. During the English Civil War Cardiff Castle was initially taken by a Parliamentary force, but was regained by Royalist supporters in 1645. When fighting broke out again in 1648, a Royalist army attacked Cardiff in a bid to regain the castle, leading to the Battle of St Fagans just outside the city. Cardiff Castle escaped potential destruction by Parliament after the war and was instead garrisoned, probably to protect against a possible Scottish invasion. In the mid-18th century, Cardiff Castle passed into the hands of the Stuart dynasty, Marquesses of Bute. John, 1st Marquess of Bute, employed Capability Brown and Henry Holland to renovate the main range, turning it into a Georgian mansion, and to landscape the castle grounds, demolishing many of the older medieval buildings and walls. During the first half of the 19th century the family became extremely wealthy as a result of the growth of the coal industry in Glamorgan. However, it was The 3rd Marquess of Bute who truly transformed the castle, using his vast wealth to back an extensive programme of renovations under William Burges. 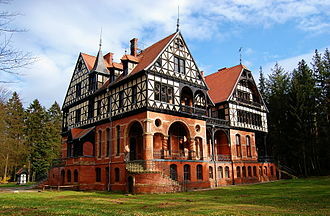 Burges remodelled the castle in a Gothic revival style, lavishing money and attention on the main range. The resulting interior designs are considered to be amongst "the most magnificent that the gothic revival ever achieved". The grounds were re-landscaped and, following the discovery of the old Roman remains, reconstructed walls and a gatehouse in a Roman style were incorporated into the castle design. Extensive landscaped parks were built around the outside of the castle. In the early 20th century, The 4th Marquess of Bute inherited the castle and construction work continued into the 1920s. The Bute lands and commercial interests around Cardiff were sold off or nationalised until, by the time of the Second World War, little was left except the castle. During the war, extensive air raid shelters were built in the castle walls; they could hold up to 1,800 people. When the Marquess died in 1947, the castle was given to the City of Cardiff. Today the castle is run as a tourist attraction, with the grounds housing the "Firing Line" regimental museum and interpretation centre. The castle has also served as a venue for events, including musical performances and festivals. The future site of Cardiff Castle was first used by the Romans as a defensive location for many years. The first fort was probably built about AD 55 and occupied until AD 80. 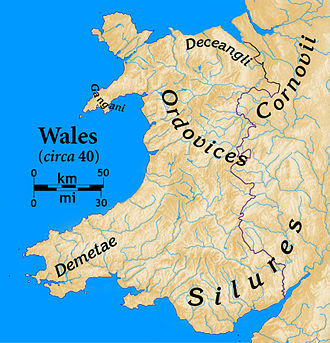 It was a rectangular structure much larger than the current site, and formed part of the southern Roman border in Wales during the conquest of the Silures. When the border advanced, defences became less important and the fort was replaced with a sequence of two, much smaller, fortifications on the north side of the current site. A fourth fort was built in the middle of the 3rd century in order to combat the pirate threat along the coast, and forms the basis of the Roman remains seen on the castle site. The fort was almost square in design, approximately 635 feet (194 m) by 603 feet (184 m) large, constructed from limestone brought by sea from Penarth. The fort's irregular shape was determined by the River Taff that flowed along the west side of the walls. The sea would have come much closer to the site than is the case in the 21st century, and the fort would have directly overlooked the harbour. This Roman fort was probably occupied at least until the end of the 4th century, but it is unclear when it was finally abandoned. There is no evidence for the re-occupation of the site until the 11th century. The Normans began to make incursions into South Wales from the late 1060s onwards, pushing westwards from their bases in recently occupied England. Their advance was marked by the construction of castles, frequently on old Roman sites, and the creation of regional lordships. The reuse of Roman sites produced considerable savings in the manpower required to construct large earth fortifications. Cardiff Castle was built during this period. There are two possible dates for the construction: William the Conqueror may have built a castle at Cardiff as early as 1081 on his return from his pilgrimage to St Davids. Alternatively, the first Norman fortification may have been constructed around 1091 by Robert Fitzhamon, the lord of Gloucester. 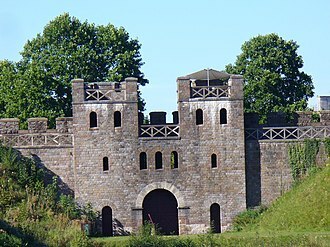 Fitzhamon invaded the region in 1090, and used the castle as a base for the occupation of the rest of southern Glamorgan over the next few years. The site was close to the sea and could be easily supplied by ship, was well protected by the Rivers Taff and Rhymney and also controlled the old Roman road running along the coast. Cardiff Castle was a motte-and-bailey design. The old Roman walls had collapsed and the Normans used their remains as the basis for the outer castle perimeter, digging a defensive trench and throwing up a 27-foot (8.2 m) high bank of earth over the Roman fortifications. The Normans further divided the castle with an internal wall to form an inner and an outer bailey. In the north-west corner of the castle a wooden keep was constructed on top of a 40-foot (12 m) tall earth motte, surrounded by a 30-foot (9.1 m) wide moat. The motte was the largest built in Wales. The overall area of the castle was around 8.25 acres (3.34 ha); the inner bailey was around 2 acres (0.81 ha) in area. Mills were essential to local communities during this period, and the castle mill was located outside the west side of the castle, fed by the River Taff; under local feudal law, the residents of Cardiff were required to use this mill to grind their own grain. The conquered lands in Glamorgan were given out in packages called knights' fees, and many of these knights held their lands on condition that they provided forces to protect Cardiff Castle. Under this approach, called a castle-guard system, some knights were required to maintain buildings called "houses" within the castle itself, in the outer bailey. Anglo-Saxon peasants settled the region around Cardiff, bringing with them English customs, although Welsh lords continued to rule the more remote districts almost independently until the 14th century. Cardiff Castle was a Marcher Lord territory, enjoying special privileges and independence from the English Crown. The medieval town of Cardiff spread out from the south side of the castle. 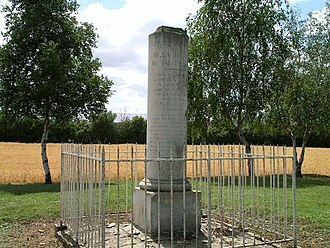 FitzHamon was fatally injured at the Battle of Tinchebray in 1106 and died shortly afterwards. Henry I then gave the castle in 1122 to Robert of Gloucester, the king's illegitimate son and the husband of FitzHamon's daughter, Mabe. 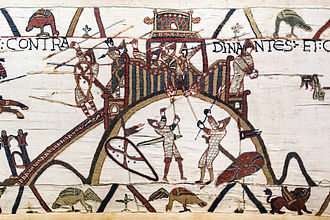 After the failed attempt of Robert Curthose, duke of Normandy, William the Conqueror's eldest son, to take England from Henry I, Robert of Normandy was imprisoned in the castle until his death in 1134. Robert of Gloucester held the castle during the troubled years of the Anarchy in England and Wales, and passed it on to his son, William Fitz Robert. Around the middle of the century, possibly under Robert of Gloucester, a 77-foot (23 m) wide, 30-foot (9 m) high shell keep was constructed on top of the motte, along with a stone wall around the south and west sides of the inner bailey. The polygonal shell keep has architectural links to a similar design at Arundel Castle. The building work was probably undertaken in response to the threat posed following the Welsh uprising of 1136. Tensions with the Welsh continued, and in 1158 Ifor Bach raided the castle and took William hostage for a period. 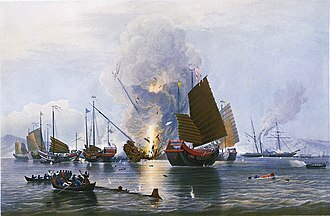 A further attack followed in 1183. By 1184 town walls had been built around Cardiff, and the West Gate to the town was constructed in the gap between the castle and the river. 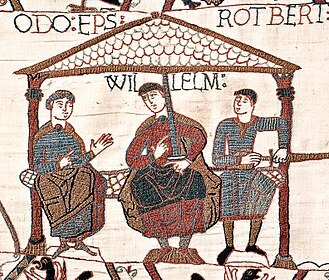 William died in 1183, leaving three daughters. One of these, Isabel, Countess of Gloucester, was declared the sole heir to the estate by Henry II. This was contrary to legal custom in England, and was done in order that Henry could then marry her to his youngest son Prince John and thus provide him with extensive lands. John later divorced Isabel, but he retained control of the castle until she married Geoffrey de Mandeville in 1214. Upon Isabel's death in 1217 the castle passed through her sister to Gilbert de Clare, becoming part of the Honour of Clare, a major grouping of estates and fortifications in medieval England. The castle formed the centre of the family's power in South Wales, although the de Clares typically preferred to reside in their castles at Clare and Tonbridge. Gilbert's son, Richard de Clare, 6th Earl of Gloucester, carried out building work at the castle in the late 13th century, constructing the Black Tower that forms part of the southern gateway seen today. On the ground floor the tower contained the Stavell Oged and Stavell Wenn chambers, with three rooms constructed above them. Richard was also probably responsible for rebuilding the northern and eastern walls of the inner bailey in stone. The inner bailey was reached through a gatehouse on the eastern side, protected by two circular towers and later called the Exchequer Gate. The defensive work may have been prompted by the threat posed by the hostile Welsh leader Llywelyn ap Gruffudd, Prince of Wales. Richard's grandson, Gilbert de Clare, the last male de Clare, died at the Battle of Bannockburn in 1314 and the castle was given to Hugh Despenser the Younger, the controversial favourite of Edward II. Poor harvests and harsh governance by the Despenser family encouraged a Welsh rebellion under Llywelyn Bren in 1316; this was crushed and Llywelyn was hanged, drawn and quartered in Cardiff Castle in 1318 on Hugh's orders. The execution attracted much criticism from across both the English and Welsh communities, and in 1321 Hugh arrested Sir William Fleminge as a scapegoat for the incident, first detaining him in the Black Tower and then executing him in the castle grounds. Conflict between the Despensers and the other Marcher Lords broke out soon after, leading to the castle being sacked in 1321 during the Despenser War. The Despensers recovered the castle and retained it for the rest of the century, despite the execution of Hugh Despenser for treason in 1326. Under a 1340 charter granted by the Despensers, the castle's constable was made the de facto mayor of Cardiff, controlling the local courts. By the 15th century, the Despensers were increasingly using Caerphilly Castle as their main residence in the region rather than Cardiff. Thomas le Despenser was executed in 1400 on charges of conspiring against Henry IV. In 1401 rebellion broke out in North Wales under the leadership of Owain Glyndŵr, quickly spreading across the rest of the country. In 1404 Cardiff and the castle were taken by the rebels, causing considerable damage to the Black Tower and the southern gatehouse in the process. On Thomas's death the castle passed first to his young son, Richard, and on his death in 1414, through his daughter Isabel to the Beauchamp family. Isabel first married Richard de Beauchamp, the Earl of Worcester and then, on his death, to his cousin Richard de Beauchamp, the Earl of Warwick, in 1423. Richard did not acquire Caerphilly Castle as part of the marriage settlement, so he set about redeveloping Cardiff instead. He built a new tower alongside the Black Tower in 1430, restoring the gateway, and extended the motte defences. He also constructed a substantial new domestic range in the south-west of the site between 1425 and 1439, with a central octagonal tower 75-foot (23 m) high, sporting defensive machicolations, and featuring four smaller polygonal turrets facing the inner bailey. The range was built of Lias ashlar stone with limestone used for some of the details, set upon the spur bases characteristic of South Wales and incorporated parts of the older 4th and 13th century walls. The buildings were influenced by similar work in the previous century at Windsor Castle and would in turn shape renovations at Newport and Nottingham Castles; the octagonal tower has architectural links to Guy's Tower, built at around the same time in Warwick Castle. A flower garden was built to the south of the range, with private access to Richard's chambers. Richard also rebuilt the town's wider defences, including a new stone bridge over the River Taff guarded by the West Gate, finishing the work by 1451. Cardiff Castle remained in the hands of Richard's son, Henry and Henry's daughter, Anne until 1449. When Anne died, it passed by marriage to Richard Neville, who held it until his death in 1471 during the period of civil strife known as the Wars of the Roses. 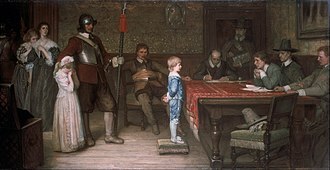 As the conflict progressed and political fortunes rose and fell, the castle passed from George, the Duke of Clarence, to Richard, Duke of Gloucester, to Jasper Tudor, the Duke of Bedford, back to Richard Neville's wife Anne, back to Jasper and finally to Prince Henry, the future Henry VIII. The ascension of the Tudor dynasty to the English throne at the end of the wars heralded a change in the way Wales was administered. The Tudors were Welsh in origin, and their rule eased hostilities between the Welsh and English. As a result, defensive castles became less important. In 1495 Henry VII formally revoked the Marcher territory status of Cardiff Castle and the surrounding territories, bringing them under normal English law as the County of Glamorgan. The Crown leased the castle to Charles Somerset in 1513; Charles used it while he was living in Cardiff. In 1550 William Herbert, later the Earl of Pembroke, then bought Cardiff Castle and the surrounding estates from Edward VI. The outer bailey contained a range of buildings at this time, and extensive building work was carried out during the century. The Shire Hall had been built in the outer bailey, forming part of a walled complex of buildings that included the lodgings for the traditional twelve holders of castle-guard lands. The outer bailey also included orchards, gardens and a chapel. The castle continued to be used to detain criminals during the 16th century, with the Black Tower being used as a prison to hold them; the heretic Thomas Capper was burnt at the castle on the orders of Henry VIII. The visiting antiquarian John Leland described the keep as "a great thing and strong, but now in some ruine", but the Black Tower was considered to be in good repair. In the inner bailey, the Herberts built an Elizabethan extension to the north end of the main range, with large windows looking onto a new northern garden; the southern garden was replaced by a kitchen garden. With the Royalist military position across the country worsening, King Charles himself came to Cardiff Castle that July to meet with local Welsh leaders. Relations between his commander in the region, Sir Charles Gerard, and the people of Glamorgan had deteriorated badly and when Charles left the castle, he was confronted by a small army of angry locals, demanding to be given control of the castle. 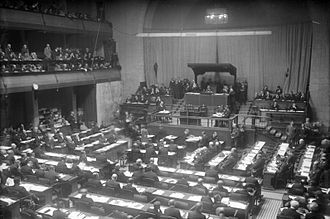 These clubmen then declared themselves the "Peaceable Army" and increased their demands to include near independence for the region. After negotiations, a compromise was found in which the royal garrison would quit the castle, to be replaced by a local Glamorgan force, commanded by Sir Richard Beaupré; in return, £800 and a force of a thousand men were promised to Charles. 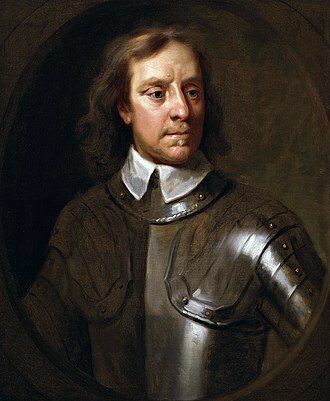 In September, Charles returned to South Wales and reneged on the agreement, disbanding the Peaceable Army, but his military position in the region was collapsing. The Peaceable Army's leaders switched sides and forced the surrender of Cardiff and the castle to Parliament in mid-September. With the outbreak of fresh fighting in 1648, a Royalist army of 8,000 fresh recruits was mustered under the command of General Rowland Laugharne and Sir Edward Stradling, with the intent of retaking Cardiff. Parliamentary forces in Brecon under the command of Colonel Thomas Horton moved quickly to reinforce the castle, although with only 3,000 men they were content to wait until a larger army under Oliver Cromwell could arrive from Gloucester. With time against them, the Royalist army attacked, leading to the battle of St Fagans just to the west of Cardiff, and a heavy Royalist defeat. After the war, Cardiff Castle escaped the slighting, or deliberate damage and destruction, that affected many other castles. Probably because of the threat of a pro-Royalist invasion by the Presbyterian Scots, a Parliamentary garrison was installed instead and the castle remained intact. The Herberts continued to own the castle as the Earls of Pembroke, both during the interregnum and after the restoration of Charles II. The castle's constable continued to act as mayor of the town of Cardiff, controlling the meetings of the town's burgesses, bailiffs and aldermen; the Herberts usually appointed members of the more important local gentry to this position during the period. Lady Charlotte Herbert was the last of the family to control Cardiff Castle. She married twice, latterly to Thomas, Viscount Windsor, and on her death in 1733 the castle passed to their son, Herbert. Herbert's daughter, Charlotte Jane Windsor, married, in November 1766, John, Lord Mount Stuart, who rose to become the Marquess of Bute in 1794, beginning a family line that would control the castle for the next century. In 1776, Lord Mount Stuart (later created The 1st Marquess of Bute in 1794) began to renovate the property with the intention of turning it into a residence for his son, John. 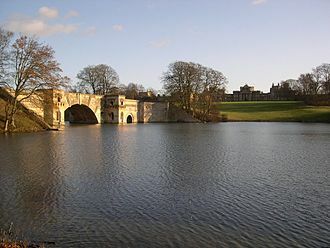 The grounds were radically altered under a programme of work that involved Capability Brown and his son-in-law, Henry Holland. The stone wall that separated the inner and outer baileys was destroyed using gunpowder, the Shire Hall and the knights' houses in the outer bailey were destroyed and the remaining ground partially flattened; the whole of the area was laid with turf. Considerable work was carried out on the main lodgings, demolishing the Herbert additions, building two new wings and removing many of the older features to produce a more contemporary, 18th century appearance. The keep and motte was stripped of the ivy and trees that had grown up them, and a spiral path was laid down around the motte. The motte's moat was filled in as part of the landscaping. A summer house was built in the south-east corner of the castle. Further work was planned on the property, including a reported proposal to roof the keep in copper, insert new windows and turn it into an assembly room for dances, but these projects were cut short by the (by now) Marquess's son's death in 1794. In 1814 Lord Bute's grandson, John, inherited his title and the castle. 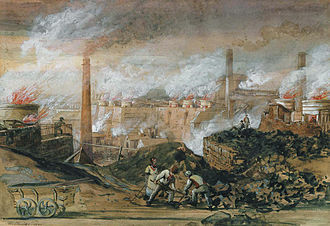 In 1825 the new Marquess began a sequence of investments in the Cardiff Docks, an expensive programme of work that would enable Cardiff to become a major coal exporting port. Although the Docks were not particularly profitable, they transformed the value of the Butes' mining and land interests, making the family immensely wealthy. By 1900, the family estate owned 22,000 acres (8,900 ha) of land in Glamorgan. The second Marquess preferred to live on the Isle of Bute in Scotland and only used Cardiff Castle occasionally. The castle saw little investment and only four full-time servants were maintained on the premises, meaning that cooked food had to be brought across from the kitchens at a nearby hotel. 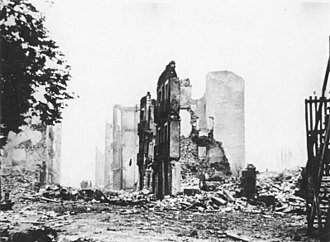 The castle remained at the centre of the Butes' political power base in Cardiff, however, with their faction sometimes termed as "the Castle party". During the violent protests of the Merthyr Rising of 1831, the Marquess based himself at Cardiff Castle, from where he directed operations and kept Whitehall informed of the unfolding events. The governance of the then town of Cardiff was finally reformed by an Act of Parliament in 1835, introducing a town council and a mayor, severing the link with the castle constable. John, 3rd Marquess of Bute, inherited the title and castle in 1848. He was then less than a year old, and as he grew up he came to despise the existing castle, believing that it represented a mediocre, half-hearted example of the Gothic style. The young Lord Bute engaged the architect William Burges to undertake the remodelling of the castle. The two shared a passion in medieval Gothic Revivalism and this, combined with Bute's huge financial resources, enabled Burges to rebuild the property on a grand scale. Burges brought with him almost of all of the team that had supported him on earlier projects, including John Starling Chapple, William Frame and Horatio Lonsdale. Burges's contribution, in particular his research into the history of the castle and his architectural imagination, was critical to the transformation. Work began on Lord Bute's coming of age in 1868 with the construction of the 150-foot (46 m) high Clock Tower. The tower, built in Burges's signature Forest of Dean ashlar stone, formed a suite of bachelor's rooms, comprising a bedroom, a servant's room and the Summer and Winter smoking rooms. Externally, the tower was a re-working of a design Burges had previously used in an unsuccessful competition entry for the Royal Courts of Justice in London. Internally, the rooms were sumptuously decorated with gildings, carvings and cartoons, many allegorical in style, depicting the seasons, myths and fables. In his A History Of The Gothic Revival, written as the tower was being built, Charles Locke Eastlake wrote of Burges's "peculiar talents (and) luxuriant fancy." The Summer Smoking Room rested at the top of the structure and was two storeys high with an internal balcony that, through an unbroken band of windows, gave views of the Cardiff Docks, the Bristol Channel, and the Glamorgan countryside. The floor had a map of the world in mosaic. The sculpture was created by Thomas Nicholls. The central part of the castle comprised a two-storey banqueting hall, with the library below. Both are enormous, the latter to hold part of the bibliophile Marquess's vast library. Both included elaborate carvings and fireplaces, those in the banqueting hall depicting the castle itself in the time of Robert, Duke of Normandy. The decoration here is less impressive than elsewhere in the castle, as much of it was completed after Burges's death by Lonsdale, a less talented painter. The Arab Room in the Herbert Tower remains however one of Burges's masterpieces. Its jelly mould ceiling in a Moorish style is particularly notable. It was this room on which Burges was working when he died and Bute placed Burges's initials, and his own, and the date 1881 in the fireplace as a memorial. The central portion of the castle also included the Grand Staircase, recorded in a watercolour perspective prepared by Axel Haig. Burges's interiors at Cardiff Castle have been widely praised. The historian Megan Aldrich considers them amongst "the most magnificent that the gothic revival ever achieved", J. Mordaunt Crook has described them as "three dimensional passports to fairy kingdoms and realms of gold", and John Newman praises them as "most successful of all the fantasy castles of the nineteenth century." The exterior of the castle, however, has received a more mixed reception from critics. 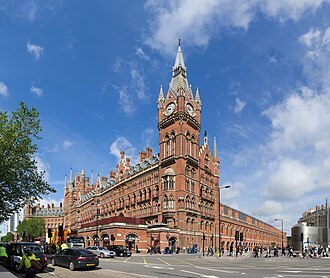 Crook admires the variegated and romantic silhouette of the building, but architect John Grant considered them to present a "picturesque if not happy combination" of varying historical styles, and Adrian Pettifer criticises them as "incongruous" and excessively Gothic in style. Work was also carried out on the castle grounds, the interior being flattened further, destroying much of the medieval and Roman archaeological remains. In 1889, Lord Bute's building works uncovered the remains of the old Roman fort for the first time since the 11th century, leading to archaeological investigations being carried out in 1890. 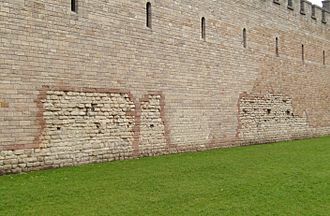 New walls in a Roman style were built by William Frame on the foundations of the originals, complete with a reconstructed Roman North Gate, and the outer medieval bank was stripped away around the new walls. The grounds were extensively planted with trees and shrubs, including over the motte. From the late 18th century until the 1850s the castle grounds were completely open to the public, but restrictions were imposed in 1858 and as a replacement the 434 acres of land to the west and north of the castle was turned into Bute Park. From 1868, the castle grounds were closed to the public altogether. Stables were built just to the north of the castle, but only half were completed during the 19th century. The Animal Wall was built along the south side of the castle, decorated with statues of animals, and the Swiss Bridge – a combination of summerhouse and river-crossing – was erected over the river by the West Gate. Cathays Park was built on the east side of the castle, but was sold to the city of Cardiff in 1898. John, the fourth Marquess, acquired the castle in 1900 on the death of his father, and the family estates and investments around the castle began to rapidly reduce in size. Cardiff had grown hugely in the previous century, its population increasing from 1,870 in 1800 to around 250,000 in 1900, but the coal trade began to diminish after 1918 and industry suffered during the depression of the 1920s. John only inherited a part of the Butes' Glamorgan estates, and in the first decades of the 20th century he sold off much of the remaining assets around Cardiff, including the coal mines, docks and railway companies, with the bulk of the land interests being finally sold off or nationalised in 1938. Development work on the castle continued. There was extensive restoration of the medieval masonry in 1921, with architect John Grant rebuilding the South Gate and the barbican tower, and reconstructing the medieval West Gate and town wall alongside the castle, with the Swiss Bridge being moved in 1927 to make room for the new West Gate development. Further archaeological investigations were carried out into the Roman walls in 1922 and 1923, leading to Grant redesigning the northern Roman gatehouse. The second half of the castle stables were finally completed. The Animal Wall was moved in the 1920s to the west side of the castle to enclose a pre-Raphaelite themed garden. The grand staircase in the main range was torn out in the 1930s. During World War II, extensive air-raid shelters were tunnelled out within the medieval walls, with eight different sections, able to hold up to 1,800 people in total, and the castle was also used to tether barrage balloons above the city. In 1947, the John, the fifth Marquess, inherited the castle on the death of his father and faced considerable death duties. He sold the very last of the Bute lands in Cardiff and gave the castle and the surrounding park to the city on behalf of the people of Cardiff; the family flag was taken down from the castle as part of the official hand-over ceremony. The castle was protected as a grade I listed building and as a scheduled monument. Cardiff Castle is now run as a tourist attraction, and is one of the most popular sites in the city. The castle is not fully furnished, as the furniture and fittings in the castle were removed by the Marquess in 1947 and subsequently disposed of; an extensive restoration has been carried out, however, of the fittings originally designed for the Clock Tower by Burges. The Royal Welsh College of Music and Drama, founded in 1949, was housed in the castle's main range for many years, but moved into the castle's former stables north of the castle in 1998. A new interpretation centre, which opened in 2008, was built alongside the South Gate at a cost of £6 million, and the castle also contains "Firing Line", the joint regimental museum of the 1st The Queen's Dragoon Guards and the Royal Welsh. The castle has been used for a range of cultural and social events. The castle has seen various musical performances, including by Tom Jones, Green Day and the Stereophonics, with a capacity to accommodate over 10,000 people. During the 1960s and 1970s the castle was the setting for a sequence of military tattoos. ^ Cardiff Castle. "Contact Us". Cardiff Castle. Retrieved 2 September 2014. ^ "Cardiff History". Cardiff & Co. Retrieved 4 November 2012. ^ Hull, Lisa (2009). "Cardiff Castle". Castles of Wales. Retrieved 4 November 2012. ^ a b c d Royal Commission on the Ancient and Historical Monuments of Wales. "Cardiff Castle and Bute Park". Coflein. p. 3. Archived from the original on 21 February 2014. Retrieved 4 November 2012. ^ Benham, Stephen (March 2001). "Glamorgan Estate of Lord Bute collection" (PDF). National Archives. p. 1. Retrieved 4 November 2012. ^ a b Royal Commission on the Ancient and Historical Monuments of Wales. "Cardiff Castle and Bute Park". Coflein. p. 4. Archived from the original on 21 February 2014. Retrieved 4 November 2012. ^ Benham, Stephen (March 2001). "Glamorgan Estate of Lord Bute collection" (PDF). National Archives. p. 2. 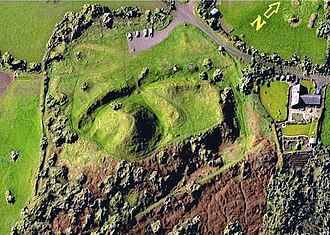 Retrieved 4 November 2012. ; Royal Commission on the Ancient and Historical Monuments of Wales. "Cardiff Castle and Bute Park". Coflein. pp. 3–4. Archived from the original on 21 February 2014. Retrieved 4 November 2012. ^ Royal Commission on the Ancient and Historical Monuments of Wales. "Cardiff Castle and Bute Park". Coflein. pp. 2–3. Archived from the original on 21 February 2014. Retrieved 4 November 2012. ^ Royal Commission on the Ancient and Historical Monuments of Wales. "Cardiff Castle and Bute Park". Coflein. pp. 5–6. Archived from the original on 21 February 2014. Retrieved 4 November 2012. ^ a b Royal Commission on the Ancient and Historical Monuments of Wales. "Cardiff Castle and Bute Park". Coflein. p. 5. Archived from the original on 21 February 2014. Retrieved 4 November 2012. ^ a b Benham, Stephen (March 2001). "Glamorgan Estate of Lord Bute collection" (PDF). National Archives. p. 2. Retrieved 4 November 2012. ^ Grant 1923, p. 14; Royal Commission on the Ancient and Historical Monuments of Wales. "Cardiff Castle and Bute Park". Coflein. p. 6. Archived from the original on 21 February 2014. Retrieved 4 November 2012. ^ Webster 1981, p. 211; Young, Alison (2 July 2011). "Cardiff castle opens up wartime shelters". Wales Online. Retrieved 4 November 2012. ^ Royal Commission on the Ancient and Historical Monuments of Wales. "Cardiff Castle and Bute Park". Coflein. p. 1. Archived from the original on 21 February 2014. Retrieved 4 November 2012. ; Philip Davies (27 September 2012). "Cardiff Castle". Gatehouse. Retrieved 4 November 2012. ^ Alford, Abby (27 October 2010). "Report highlights booming tourist trade in Cardiff". Wales Online. Retrieved 4 November 2012. ^ Law, Peter (25 November 2010). "Cardiff Castle retreat restored to former glory". Wales Online. Retrieved 4 November 2012. ; Tom Morgan. "Cardiff Castle - Eligibility for Museum Accreditation (Acquisition and Disposal Policy)". Cardiff Council. p. 4. Retrieved 4 November 2012. ^ Royal Commission on the Ancient and Historical Monuments of Wales. "Cardiff Castle and Bute Park". Coflein. pp. 2–3. Archived from the original on 21 February 2014. Retrieved 4 November 2012. ; Gockelen-Kozlowski, Tom (7 July 2011). "Royal Welsh College of Music and Drama guide". The Telegraph. Retrieved 4 November 2012. ^ 24 Hour Museum Staff (13 June 2008). "New £6 Million Interpretation Centre Opens At Cardiff Castle". Culture24. Retrieved 14 March 2019. ^ "Welcome to the Museums of the Royal Regiment of Wales (24th/41st)". The Royal Regiment of Wales. Archived from the original on 7 September 2012. Retrieved 4 November 2012. ; "About the Museum". Firing Line - Cardiff Castle Museum of the Welsh Soldier. Archived from the original on 21 June 2012. Retrieved 4 November 2012. Aldrich, Megan (1994). Gothic Revival. London, UK: Phaidon Press. ISBN 978-0-7148-3631-7. Armitage, Ella S. (1912). The Early Norman Castles of the British Isles. London, UK: J. Murray. OCLC 458514584. Bennett, Martyn (2000). The Civil Wars Experienced: Britain and Ireland, 1638–1661. London, UK: Routledge. ISBN 978-0-415-15901-2. Cannadine, David (1994). Aspects of Aristocracy: Grandeur and Decline in Modern Britain. New Haven, US: Yale University Press. ISBN 978-0-300-05981-6. Clark, Geo T. (1884). Mediaeval Military Architecture in England. 1. London, UK: Wyman and Sons. OCLC 277807592. Crook, J. Mordaunt (1981). William Burges and the High Victorian Dream. London, UK: John Murray. Crook, J. Mordaunt; Lennox-Boyd, C. (1984). Axel Haig and the Victorian Vision of the Middle Ages. London, UK: Allen & Unwin. Daunton, Martin (2008). 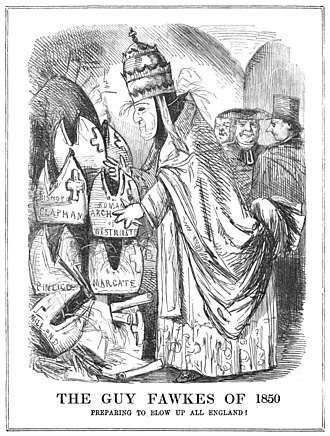 State and Market in Victorian Britain: War, Welfare and Capitalism. Woodbridge, UK: Boydell Press. ISBN 978-1-84383-383-3. Davies, John (2010). "Cardiff and the Marquesses of Bute". In Ayto, John; Crofton, Ian. Brewer's Britain and Ireland. London, UK: Weidenfeld & Nicolson. Eastlake, Charles Locke (2012). A History Of The Gothic Revival. Cambridge, UK: Cambridge University Press. ISBN 978-1-108-05191-0. Girouard, Mark (1979). The Victorian Country House. New Haven, US and London, UK: Yale University Press. Grant, John P. (1923). Cardiff Castle: Its History and Architecture. Cardiff, UK: William Lewis. OCLC 34158534. Higham, Robert; Barker, Philip (2004). Timber Castles. Exeter, UK: University of Exeter Press. ISBN 978-0-85989-753-2. Hutton, Ronald (2003). Royalist War Effort, 1642–1646. London, UK: Routledge. ISBN 978-0-415-30540-2. Jenkins, Philip (1984). "The Tory Tradition in Eighteenth-Century Cardiff". Welsh History Review. 12 (2): 180–196. Jenkins, Philip (2002). The Making of a Ruling Class: the Glamorgan Gentry 1640–1790. Cambridge, UK: Cambridge University Press. ISBN 978-0-521-52194-9. Jones, Nigel R. (2005). Architecture of England, Scotland and Wales. Westport, US: Greenwood Press. ISBN 978-0-313-31850-4. Newman, John (1995). The Buildings of Wales: Glamorgan. London, UK: Penguin. Nicholas, Thomas (1872). Annals and Antiquities of the Counties and County Families of Wales. London, UK: Longmans. OCLC 4948061. Roberts, Geraint (2006) . Welsh Castles (2nd ed.). Talybont, UK: Y Lolfa. ISBN 978-0-86243-550-9. Row, B. W.; Squire, F. G. (1974). Cardiff 1889–1974: The Story of the County Borough. Cardiff, UK: Corporation of Cardiff. OCLC 1176367. Royal Commission on the Ancient and Historical Monuments of Wales (1991). Glamorgan: Early Castles. Cardiff, UK: Royal Commission on the Ancient and Historical Monuments of Wales. ISBN 9780113000357. Taylor, Arnold (1997) . Caernarfon Castle and Town Walls (4th ed.). Cardiff, UK: Cadw. ISBN 1-85760-042-8. Thompson, M. W. (1987). The Decline of the Castle. Cambridge, UK: Cambridge University Press. ISBN 978-1-85422-608-2. Webster, P. (1981). "Archaeological Notes: Cardiff Castle Excavations 1974–81". Morgannwg. 25: 201–211. Weinbaum, Martin (1943). British Borough Charters, 1307–1660. Cambridge, UK: Cambridge University Press. OCLC 4178907. Crook, J. Mordaunt (1981). The Strange Genius of William Burges. Cardiff, UK: National Museum of Wales. Cardiff city centre is the city centre and central business district of Cardiff, Wales. The area is bound by the River Taff to the west. Cardiff became a city in 1905, compared to nearby cities, the new St Davids Centre has more retail space than the whole of Newport or Swansea. In 2008–9, the footfall of shoppers was 55 million. Cardiff is the sixth most successful shopping destination in the United Kingdom – behind London, Birmingham, Cardiff was granted city status by Edward VII in 1905. In the 1960s, planners described Cardiff city centre as worn out, drab, the centre had escaped the extensive wartime bomb damage inflicted on other cities, so little redevelopment took place in the 1950s and 1960s. The Buchanan Plan of 1964 envisaged a highly ambitious extended city centre, by the time the legal agreement to implement Centreplan 70 was signed, the 1973 property crash had made it unviable. Development in the 1970s and 80s was more piecemeal than envisaged in Centreplan, the latter became, according to official publicists, one of the icons of Cardiffs new image. Development of the began in February 2010 and is expected to be completed by July 2011. Cardiff Council says that work to create the Castle Quarter as a friendly environment for High Street. Castle Street follows on from Cowbridge Road East from Canton and begins after Cardiff Bridge and it becomes Duke Street after the junction with High Street before turning north and becoming Kingsway, leading to Cardiff Civic Centre. From west to east, streets that begin from the side of this stretch are Westgate Street, Womanby Street, High Street, St Johns Street, Queen Street. Cardiff Castle and Bute Park dominate the northern side of the street, on the southern side are pubs, bars and hotel units. Castle Arcade and Duke Street Arcades begin from this stretch, St. Mary Street and High Street. The former street is named after the 11th century church of St. Mary, today the stretch of road is the home of a number of bars, night clubs and restaurants, as well as branches of many major banks. Also fronting onto the street is Howells department store, which stretches from just after Cardiff Central Market to the corner of Wharton Street, from August 2007 the street was closed to private vehicles, leaving only buses and taxis allowed to access the whole street. Cardiff Roman Fort was a coastal fort in the Roman province of Britannia Superior, of which Roman Wales was a part. Its original Latin name is uncertain and its remains are incorporated into Cardiff Castle in the modern capital city of Wales. It could have been Tamium as appears in the Ravenna Cosmography, although this may have been a river name, alternatively it may be Bovium of the Antonine Itinerary. Prior to the building of the extant fort, there were at least two previous Roman forts on the site, the first was probably a vexillation camp built during attempted conquest of the Silures tribe around AD55. 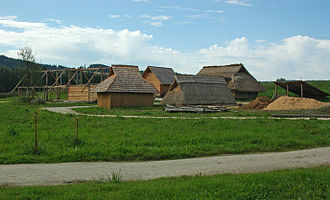 From the late 2nd to the century, civilian timber buildings associated with iron working occupied the site. Around 290, a 9-acre shore fort was built on the site and its walls were ten feet thick and it was positioned to control access to the upper reaches of the River Severn. There may have been associated watch towers on the now eroded cliffs to the west and this is believed to have been the Emperor Carausius response to increased Irish raids. It was adopted by the Royalists themselves. Prince Rupert, commander of much of Charles Is cavalry, is considered to be an archetypal Cavalier. Cavalier derives from the same Latin root as the French word chevalier, Cavalier is chiefly associated with the Royalist supporters of King Charles I in his struggle with Parliament in the English Civil War. 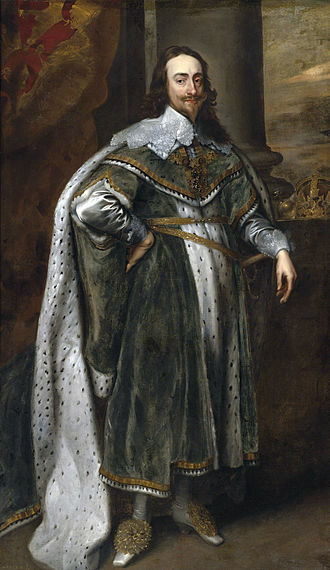 Charles, in the Answer to the Petition 13 June 1642 speaks of Cavaliers as a word by what mistake soever it seemes much in disfavour, Cavalier was not understood at the time as primarily a term describing a style of dress, but a whole political and social attitude. Most Parliamentarian generals wore their hair at much the length as their Royalist counterparts. The best patrons in the nobility of Charles Is court painter Sir Anthony van Dyck, probably the most famous image identified as of a cavalier, Frans Hals Laughing Cavalier, shows a gentleman from the strongly Calvinist Dutch town of Haarlem, and is dated 1624. These derogatory terms showed what the typical Parliamentarian thought of the Royalist side – capricious men who cared more for vanity than the nation at large. 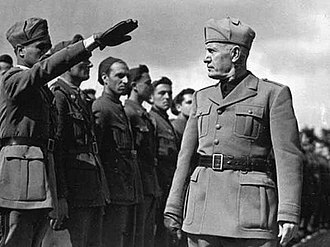 Although they did not share the same outlook on how to worship God as the English Independents of the New Model Army, if I forget Thee, do not forget me. However, the word was coined by the Roundheads as a propaganda image of a licentious, hard drinking and frivolous man. It is this image which has survived and many Royalists, for example Henry Wilmot, 1st Earl of Rochester, fitted this description to a tee. Of all his qualifications dissimulation was his masterpiece, in which he so much excelled and this sense has developed into the modern English use of cavalier to describe a recklessly nonchalant attitude, although still with a suggestion of stylishness. 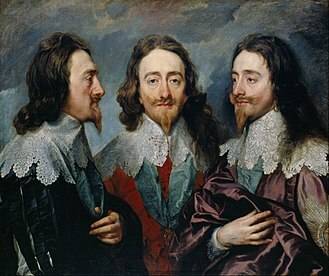 Likewise during Exclusion Bill crisis the term Roundhead was replaced with Whig, an example of the Cavalier style can be seen in the painting Charles I, King of England, from Three Angles by Anthony van Dyck. The mascot of Cavalier has been commonly used in the sports world. 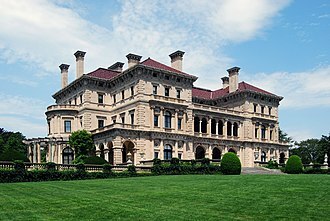 Most prominently it has been that of the professional Cleveland Cavaliers in the NBA since 1970 and it has been adopted by smaller organizations such as Johnson County Community College, Kankakee Community College, St.
Henry Holland was an architect to the English nobility. He was born in Fulham, where his father and his younger brother was Richard Holland, who changed his surname to Bateman-Robson and became an MP. Although Henry would learn a lot from his father about the practicalities of construction and Holland formed a partnership in 1771 and Henry Holland married Browns daughter Bridget on 11 February 1773 at St Georges, Hanover Square. In 1772 Sir John Soane joined Hollands practice in order to further his education, Holland paid a visit to Paris in 1787 which is thought to have been in connection with his design of the interiors at Carlton House. From this moment on his interior work owed less to the Adam style, Holland was a founder member in 1791 of the Architects Club, which included Thomas Hardwick as a signtory. In the 1790s he translated into English A. M, cointereauxs Traite sur la construction des Manufactures, et des Maisons de Champagne. He had got out of bed shortly before and inquired what the hour was, being told he said is was too early to rise and got into bed again. He immediately fell into a fit, I was sent for, and a minute after I came to his bedside he breathed his last. He was buried at All Saints Church, Fulham, in a simple tomb, Bridget Holland his wife lived for another 17 years and was the main beneficiary of her husbands will. 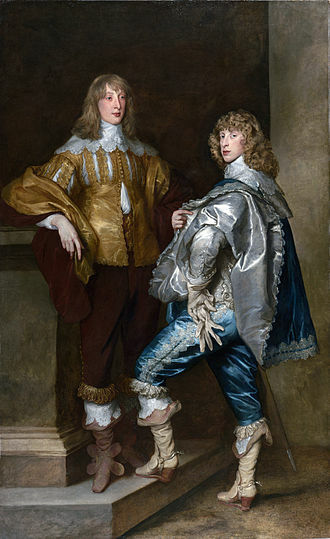 Of his sons, the elder Henry Jr remained a bachelor, the younger son, Colonel Lancelot, married Charlotte Mary Peters and they had fifteen children. 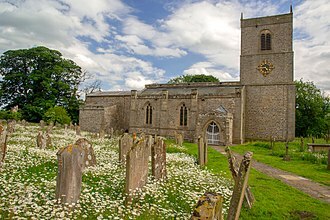 Of Hollands five daughters, two married two brothers, Bridget to Daniel Craufurd and Mary Frances Holland to Major-General Robert Craufurd, commander of the Light Division during the Peninsular War, Bridget remarried to Sir Robert Wilmot of Chaddesden. The remaining daughters, Harriet and Caroline never married, Holland began his practice by designing Claremont House for Robert Clive, with his future father-in-law in 1771 and their partnership lasted until Browns death twelve years later. Claremont is of nine by five bays, of brick with stone dressings. The main feature on the front is the tetrastyle Corinthian pedimented portico. William Burges ARA was an English architect and designer. Burges stands within the tradition of the Gothic Revival, his works echoing those of the Pre-Raphaelites and his architectural output was small but varied. Working with a team of craftsmen, he built churches, a cathedral, a warehouse, a university. Burgess most notable works are Cardiff Castle, constructed between 1866 and 1928, and Castell Coch, both of which were built for John Crichton-Stuart, 3rd Marquess of Bute. Other significant buildings include Gayhurst House, Knightshayes Court, the Church of Christ the Consoler, St Marys, Studley Royal, in Yorkshire, many of his designs were never executed or were subsequently demolished or altered. His competition entries for cathedrals at Lille, Colombo, Edinburgh and he lost out to George Edmund Street in the competition for the Royal Courts of Justice in The Strand. His plans for the redecoration of the interior of St Pauls Cathedral were abandoned, skilbecks Warehouse was demolished in the 1970s, and work at Salisbury Cathedral, at Worcester College, and at Knightshayes Court had been lost in the decades before. Beyond architecture, Burges designed metalwork, jewellery, for most of the century following his death, Victorian architecture was neither the subject of intensive study nor sympathetic attention and Burgess work was largely ignored. However the revival of interest in Victorian art and design in the twentieth century has led to a renewed appreciation of Burges. Burges was born on 2 December 1827, the son of Alfred Burges, Alfred made a considerable fortune, some £113,000 at his death, enabling his son to devote his life to the study and practice of architecture without requiring that he actually earn a living. Burges entered Kings College School, London, in 1839 to study engineering, his contemporaries there including Dante Gabriel Rossetti and he left in 1844 to join the office of Edward Blore, surveyor to Westminster Abbey. 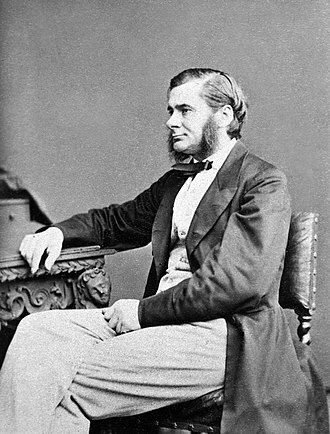 Blore was an architect, having worked for both William IV and Queen Victoria, and had made his reputation as a proponent of the Gothic Revival. In 1848 or 1849, Burges moved to the offices of Matthew Digby Wyatt, Wyatt was as prominent an architect as Blore, evidenced by his leading role in the direction of The Great Exhibition in 1851. He became Lord of Glamorgan in 1075. Not much is known about his life, or his precise relationship to William I of England. 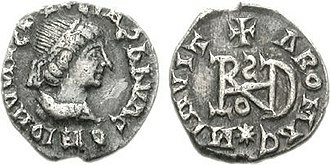 Robert FitzHamon was, as the prefix Fitz suggests, the son of Hamo Dapifer the Sheriff of Kent and grandson of Hamon Dentatus. His grandfather held the lordships of Torigny, Creully, Mézy, and Evrecy in Normandy, but following his death at the Battle of Val-ès-Dunes in 1047, few details of Roberts career prior to 1087 are available. 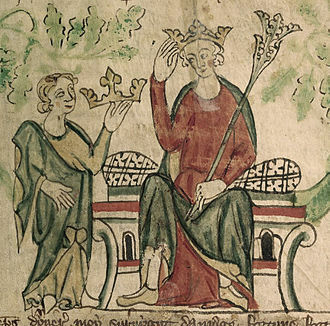 Robert probably did not fight at the Battle of Hastings in 1066 and he first comes to prominence in surviving records as a supporter of King William Rufus during the Rebellion of 1088. After the revolt was defeated he was granted as a reward by King William Rufus the feudal barony of Gloucester consisting of two hundred manors in Gloucestershire and other counties. They had been destined as the inheritance of Rufuss younger brother Henry, the chronology of Fitzhamons conquest of Glamorgan is uncertain, but it probably took place in the decades after he received the feudal barony of Gloucester. Fitzhamon defeated the prince of South Wales Rhys ap Tewdwr in battle in 1090, iestyn did not profit long by his involvement with the Normans. He was soon defeated and his lands taken in 1091, whether there is any truth in the legend or not Robert Fitzhamon seems to have seized control of the lowlands of Glamorgan and Gwynllwg sometime from around 1089 to 1094. His key strongholds were Cardiff Castle, which already may have built, on the site of an old Roman fort, new castles at Newport. His descendants would inherit these castles and lands and he refounded Tewkesbury Abbey in 1092. The abbeys dimensions are almost the same as Westminster Abbey, the first abbot was Giraldus, Abbot of Cranborne who died before the abbey was consecrated in October 1121. The abbey was built under the influence of his wife Sybil de Montgomery. Said to be a beautiful and religious woman like her sisters, legend has it that Robert had ominous dreams in the days before Rufus fatal hunting expedition, which postponed but did not prevent the outing. John Stuart, 1st Marquess of Bute PC, FRS, styled Lord Mount Stuart until 1792 and known as The Earl of Bute between 1792 and 1794, was a British nobleman. Stuart was the son of John Stuart, 3rd Earl of Bute and the former Mary Wortley Montagu and he was educated at Winchester and Oxford University, and around 1757 he began to be tutored by the famous Scottish philosopher Adam Ferguson. Lord Mount Stuart was Tory Member of Parliament for Bossiney from 1766 to 1776, in March 1776 the bill was debated, but ultimately failed to pass. In 1776 Mount Stuart was elevated to the Peerage of Great Britain in his own right as Baron Cardiff, though this title was used, he continued to be known by his courtesy title of Lord Mount Stuart. In 1779 he was sworn of the Privy Council and was sent as an envoy to the court of Turin and he was ambassador to Spain in 1783. He held the sinecure of Auditor of the imprests from 1781 until the abolition of the office in 1785 and he succeeded his father in the earldom in 1792. An aerial view of Windsor Castle: with its shell keep (called "The Round Tower") prominent on its motte inside the middle ward (middle baily). 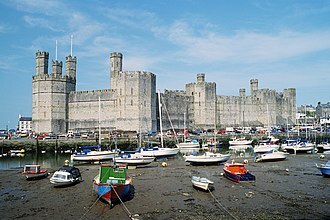 The ward of Caernarfon Castle, besieged by Glyndŵr in 1403, showing (from left to right) the Black Tower, the Chamberlain's Tower, and the Eagle Tower. Orava Castle (Slovakia ) with a large outer bailey. The outer bailey of Pyrmont Castle (Germany). Veveří Castle in the Czech Republic with its outer bailey. Portchester (Portus Adurni) is the best preserved Roman fort north of the Alps. The D-shaped towers are typical of 3rd-century of Roman forts.